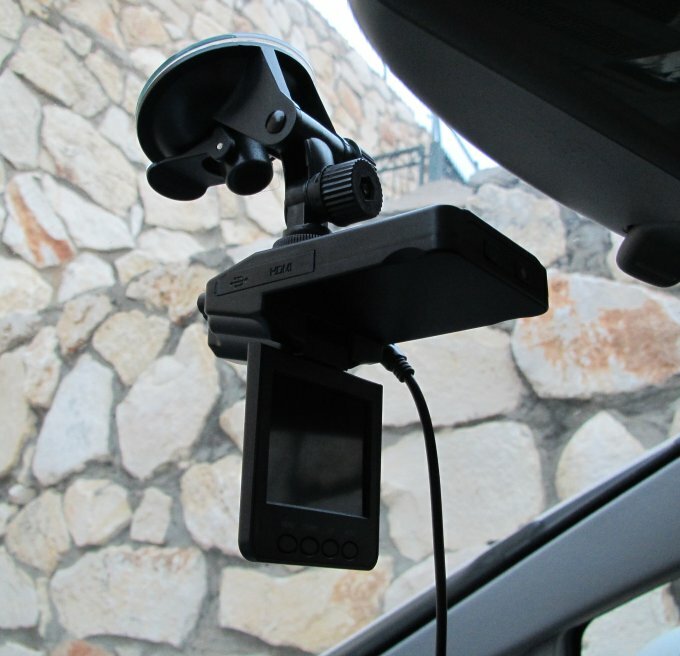 In some parts of the world, dashboard cameras are extremely popular, and have become a viable substitute to pricey car insurances as well as bogus damage claims, law suits and harassment by the officers of the said law. Elsewhere, not so. 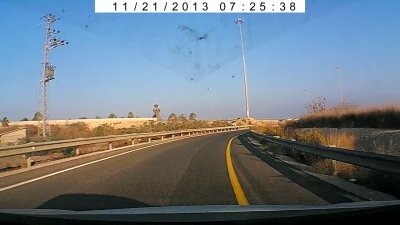 Another reason why you might want to consider a dash camera is simply to capture video of your own driving, especially if you're an enthusiast. Then, you can compile all kinds of nice footage and share with the friends you don't have. All this means that some really nice driving compilations produced in the secret labs of Dedoimedo are coming your way, but for now, let's focus on the technological piece, the camera. 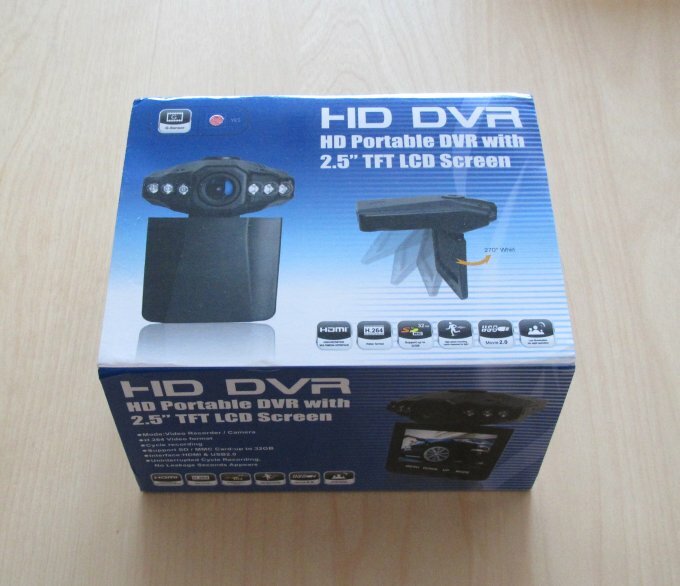 If you look around the Web for a cheap, affordable and somewhat high-quality camera, you will find a million references to DVR-027, as well as another million reviews and warnings not to get scammed by fakes. Of course, almost exclusively, all of the reviews will take you to Ebay, where Chinese sellers will peddle the said product for about USD50-60. However, what convinced me to try this piece of hardware was not the Internet, but the fact three of my work colleagues were already using the camera, and I had the chance to see the results for myself. Satisfied, I purchased two for myself. A month later, they arrived from Ebay, all dandy and packaged and whatnot. The camera is not going to stun you with its build quality and the amazing array of options. But it is more than capable for its price tag. The design is fairly elegant. You get a slim, cigarette-pack-sized gadget, with a folding 2.5-inch TFT LCD screen, equipped with a decent 120-deg wide-angle lens, night sensors, mini-USB 2.0 and HDMI sockets, the former capable of being used as a power supply, or if you prefer it the old-fashioned way, you can use the standard 12V feed, which plugs into the car's lighter. 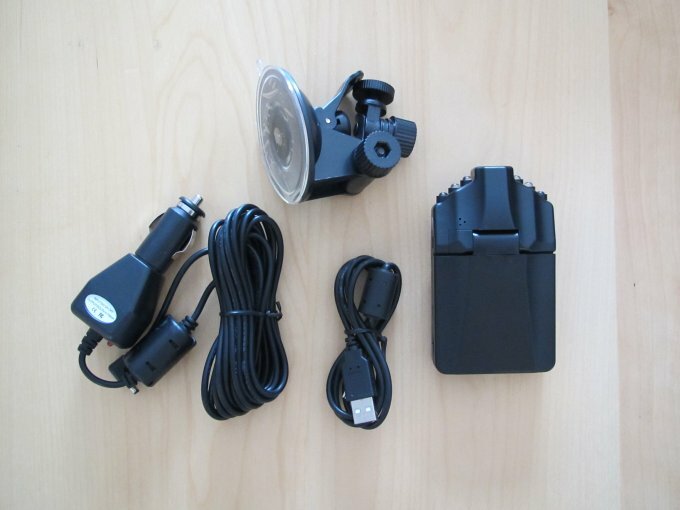 Now, you also get a handsome 2.5 meters of power cord, which is rather nice, because this lets you connect the camera and then place it anywhere inside the cabin, including the rear window. Furthermore, the device accepts a single SD card, up to 32GB in size, and it needs to be formatted as FAT32. You can also use micro-SD cards with an adapter, but do make sure they are not write-protected, or you might get funny results. As for the actual art, DVR-027 records using the H.264 codec and AVI container, and it will save both video and audio. You can disable audio recording if want want. The available resolutions range from a fairly lowly 640x480px to a moderate HD 1280x720p. Moreover, you can set the framerate to 10/20/30 shots per second. 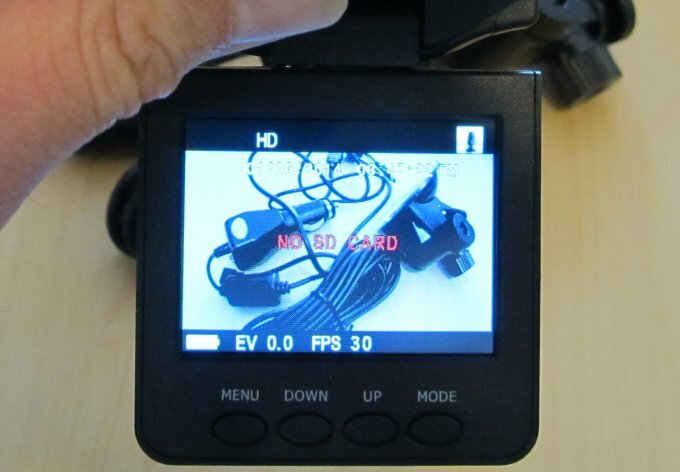 When recording the driving fun, you may also configure the length of a clip before a new one is created, ranging from 2-10 minutes, with a superimposed time and date stamp, either at the top or the bottom of the frame, depending on the device firmware. On some models, the longest available cycle time is 15 minutes. Old clips are deleted automatically, with a very short switchover time between the clips. It won't matter to you, unless you're really, really unlucky. My test shows that a 10-min clip recorded at the highest resolution and 30 FPS plus audio usually weighs around 500MB, which means that a typical 8GB card will last around 160 minutes of recording, or roughly 2.5 hours of net driving time. 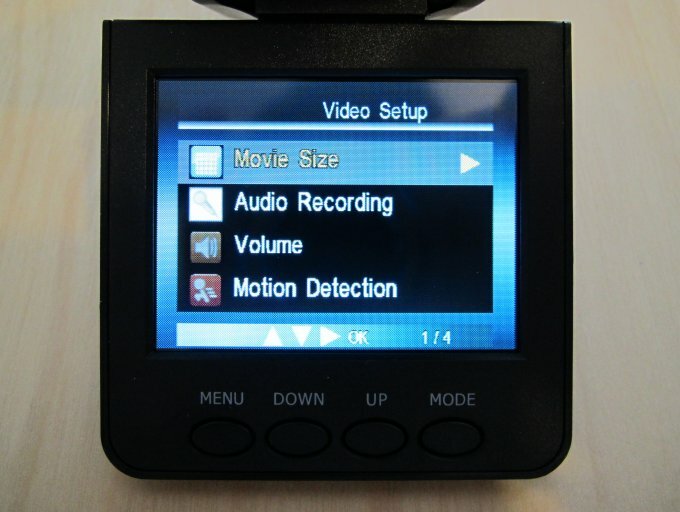 DVR-027 can also take still images, and you can browse and watch the existing clips from the camera itself, using its four buttons. Another neat feature is the ability to start recording when it senses motion, which might be useful in the parking lot. However, do note that this feature consumes the car battery, so you might want to be careful if you leave your vehicle parked for a long time. Normally, the camera is configured to switch on and off with the car engine, with maybe one or two seconds of delay. There are several other options, but they are all pretty intuitive. You will just need to click your way through the simple menu and check all of the settings to make sure you have what you want. Mandatory if you suffer from OCD. Oh yes, by default, the night driving option means powering on the six tiny front LEDs, which are sort of supposed to shine the dark world for you, but they are rather useless, so you might as well disable the option altogether. You can also use the gadget for a short time on its removable, internal Li-Ion battery, which is good for about 10-15 minutes of fun. The suction pad work fine, and it comes with two little dials that allow you to position the camera's pitch and roll. 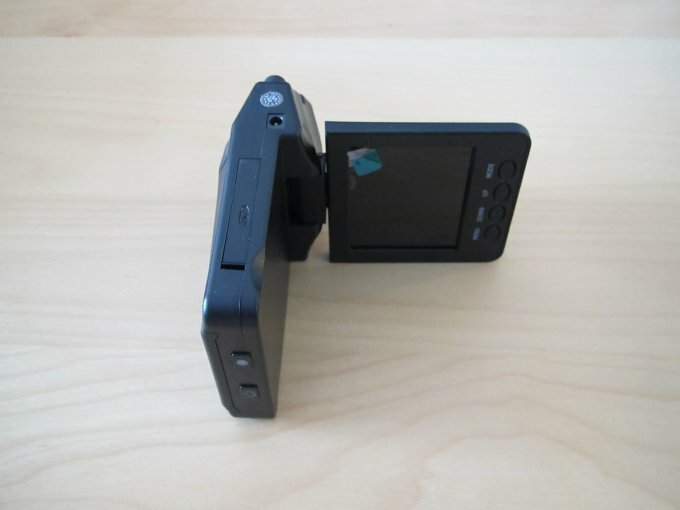 Furthermore, you can freely set the yaw angle by swiveling the camera using the mighty power of your hands. My testing shows the DVR-027 to resist accidental touches and fiddles fairly well, so you won't have to readjust the position that often. The trickiest part is clicking the SD card in and out of its spring slot, where you might alter the roll by a click or two. What DVR-027 won't give you, though, is the following. No GPS-assisted features, like your position or speed in real time. You don't get any full HD, either. There's a reason why the camera costs what it costs, and for what it offers, you get a decent punch. 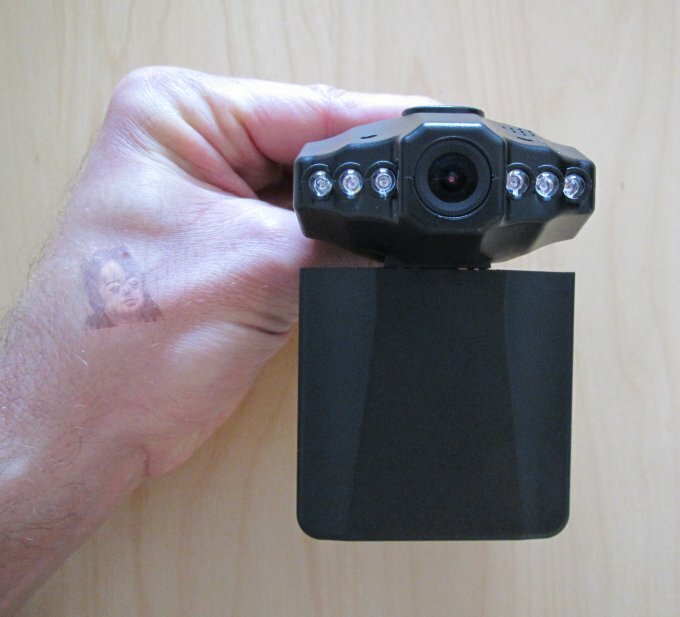 I have been using the DVR-027 for two months now, and I must admit I'm pleased. The camera works pretty well. It just sits there and records the action, including some of more or less awesome moments that you will soon be seeing, as part of my recent car reviews adventure. Yes, you should read my car reviews, too. Right NOW! 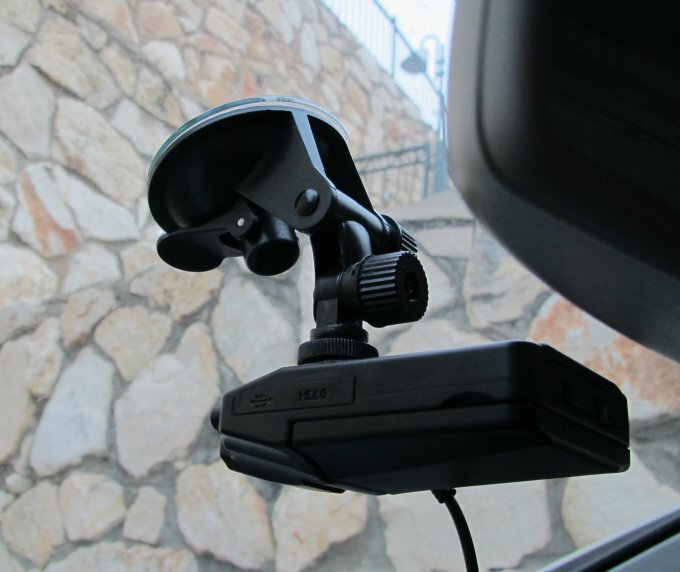 DVR-027 does not shake and stutter, it's resistant to bumps and jolts in the road, and it works across a wide span of temperatures, without a hitch. My real-life testing shows good results between about low minus and 35 degrees Celsius, even though the minus stuff is below the official range. I didn't get a chance to test anything else yet. The video quality is fairly decent, but you should try to keep the windshield free of smudges. Audio is less stellar, but it's still okay. Again, it all depends on how you like to drive. If you blast music while rolling the windows down at high speed, then do not expect orchestra quality recordings. Overall, not bad. Especially since you paid only USD50-60 for this kind of fun. 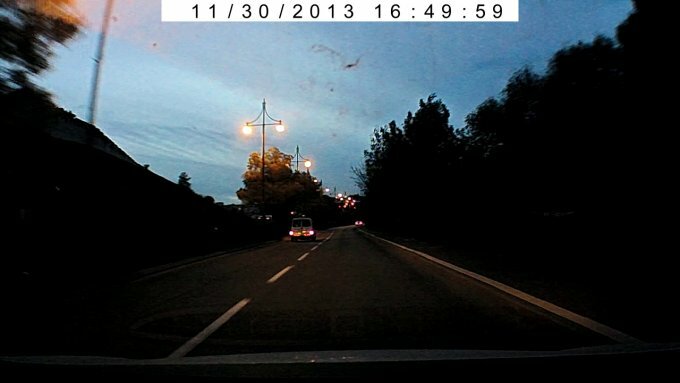 At night, or rather, in low-light conditions, the footage turns slightly grainy, but it is still useful. As a rule of thumb, the camera will capture whatever your own eye can capture. So if you see someone's plates, DVR-027 seems them, too, and if you're having a hard time reading the numbers and letters, then the dash camera will struggle about the same. You might be able to decipher things better using post-processing and filtering and such, but the raw clips will be as good as your own eye. Give or take. Best of all, you might indulge in some self-grandiose action by watching your own driving and marveling how good you really are, and gloating over those less skilled. You might also capture a few memorable moments as well as a handful of traffic violations, all of which could be used to provide viewing material on public channels. Enter Youtube. Speaking of which, some nice clips coming soon. Do hold your breath. 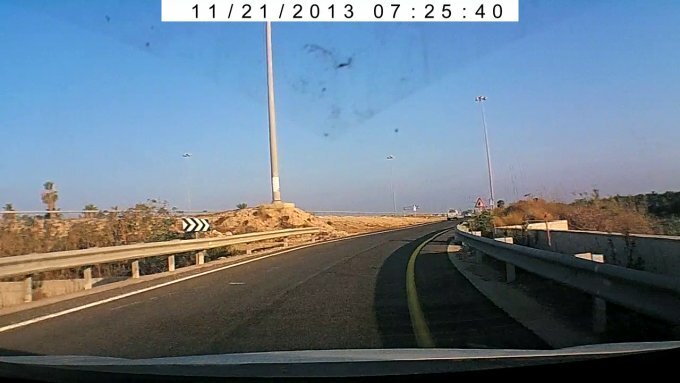 Overall, DVR-027 is a reasonable dashboard camera, with a solid set of features. It is not the best in any one category by all means, but it provides a balanced combo of options for a relatively small investment. You get 720p of video plus audio, wide angle, all sorts of recording features, and a robust design, and that's more than enough for your first experience with driving & filming. You won't be the next Lars Von Trier, for sure, but there's an ever so slim chance your clips might get some views on Youtube. 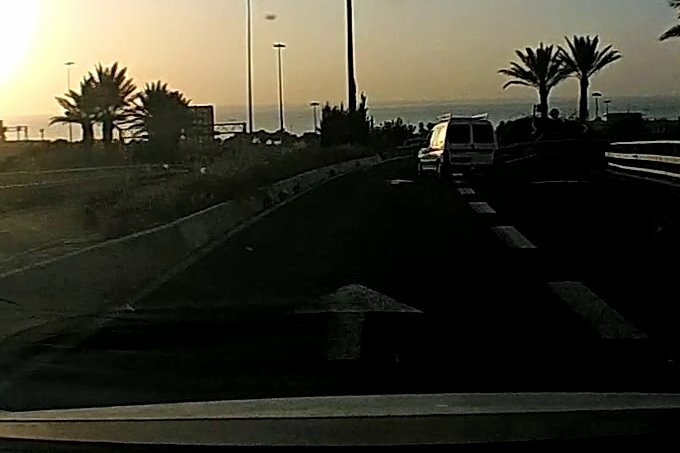 I think using a dashboard camera is a smart choice for a responsible driver nowadays. If you're busy texting and sexting while driving, you might as well take live footage of what you and those around you are doing. In the long run, it will help improve your driving skills as well as courtesy, because you just might turn that much more chivalrous when there's a recording device capturing your profanities. Then, should the bad luck chance it, you might even have an actual proof 'twas the other driver what done it. We're done, I guess. 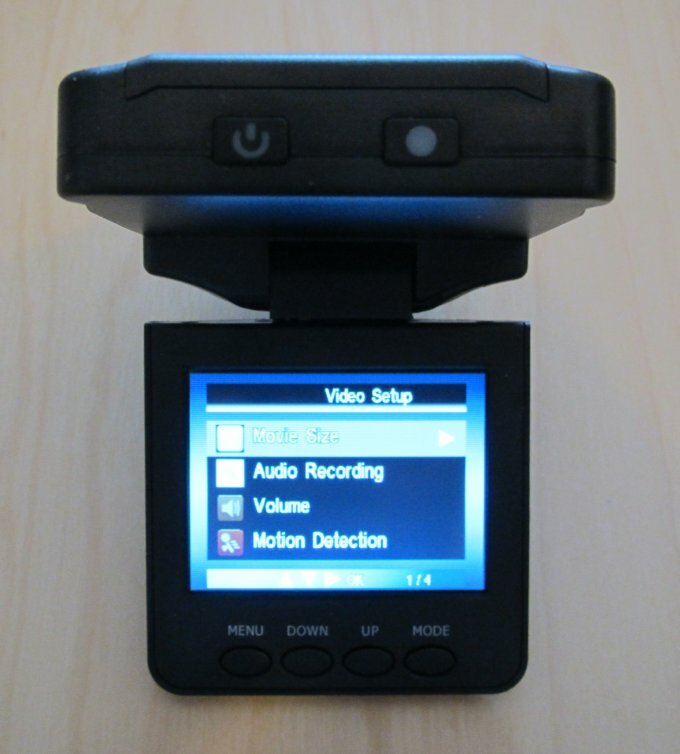 DVR-027 is an interesting gadget, well worth its price. 8/10. Cut.